The Walnut room is a restaurant in the south loop’s Macy’s. (or Marshall Fields as it use to be called) During the holiday season the side walk on state street is packed with people looking at the window displays. The Walnut room is on the 7th floor and has been open since 1907. It’s a busy place during the holiday season. A friend and I went this year 9:30 in the morning for breakfast which was a buffet bar and it was a quiet morning with a few family’s and groups. The food wasn’t bad but I found the textures to be off a bit. The french toast was a bit soggy and the oatmeal didn’t quite taste the way I liked it, but it was a nice atmosphere. Along with the waiters and waitress’s that seemed to hear ever question I had there were Christmas fairies. They would stop at tables and ask if any of the dinners had a wish, then once the wish was asked the guest closed their eyes and the fairy would sprinkle fairy dust over them. It was definably enchanting. 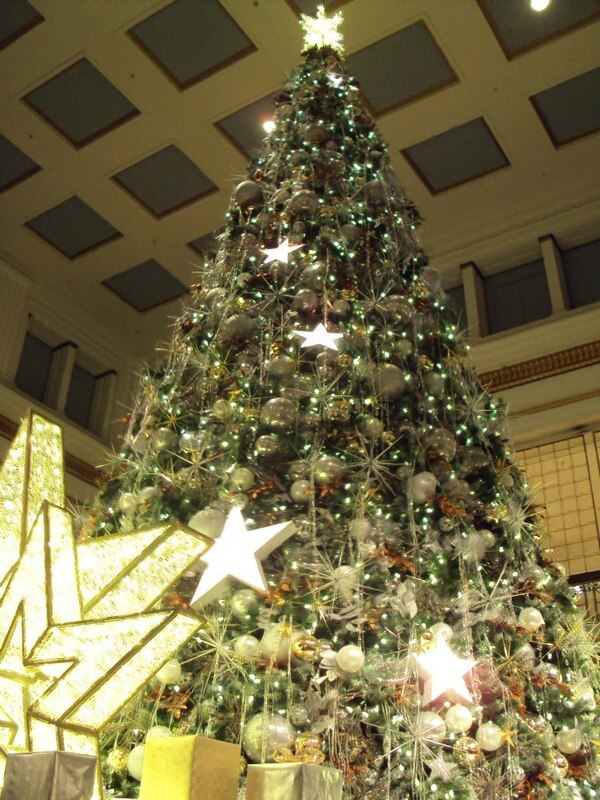 The Walnut room is another holiday place where you can get a glass that is only made for that year and for the season. The workers are friendly and happy to take a photo for you in front of the giant decorated tree in the center of the main room. Food wise I would have to go back during a non-brunch time to see if it was just the batch I got. Otherwise it’s another fun holiday place to check out.